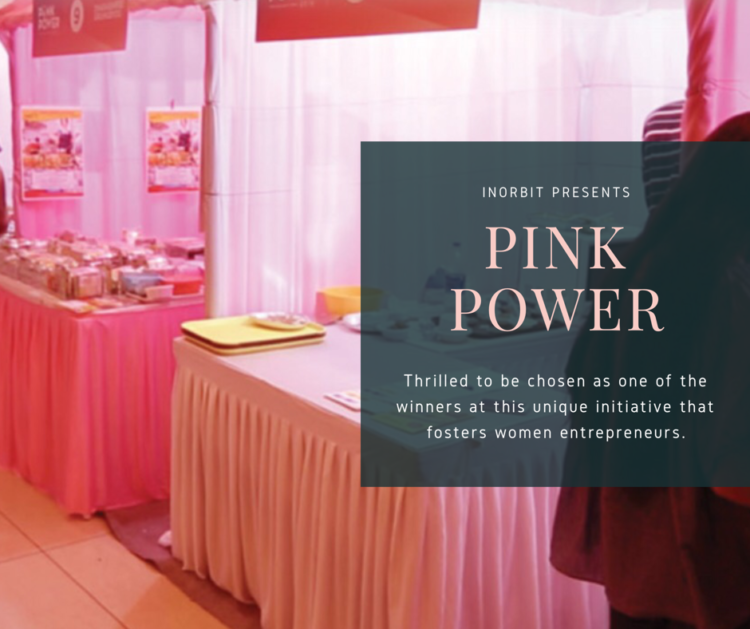 Pink Power is an initiative to encourage women entrepreneurs to showcase their business skills & be a part of Inorbit Malls. This year marks the third season of this unique initiative. On 8th March 2017, International Women’s Day, I applied when Inorbit mall invited women entrepreneurs to share their business idea. A panel of internal & external jury then evaluated, selected & declared the winners in early June 2017. The winners will be given free retail space at Inorbit malls for a period of 9 months. I’m so thrilled that I’m one of the winners and that I’ll get to set-up and manage my own pop-up shop soon. As a populist artist, nothing makes me more happy than to get people to see, critique, enjoy and ultimately take home my work. I also believe that white cube galleries can be an intimidating space and one has to adapt with changing times and take art to where people are. Ergo – the mall = holy grail of retail. Pink Power is an ideal opportunity for someone like me just starting my Artrepreneurial journey in retail. Not only does it come with the potential of built-in foot-traffic, exposure, loyal clientele, and the ability to acquaint my target demographic with my brand of art, but it also helps me offset my biggest expense, rent. Like the cherry on the cheesecake, Inorbit Mall happens to be situated where I’d like my own gallery/studio space to be one day – Whitefield. It’s also a stamp of credibility and will allow me to interact with the everyday consumer as opposed to art connoisseurs. Frankly, before this win, I had no idea how exactly I was going to “pop-up” in a mall? Thank you for the opportunity Inorbit and congratulations to all the other deserving ladies – I hear we were chosen from among thousands. Hurrah! Click here if you want to know more about Pink Power.